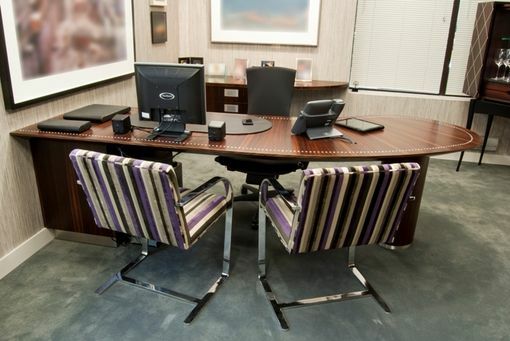 This desk is an example of some custom furniture that was build for an executive office, for a client by the name of JLT. 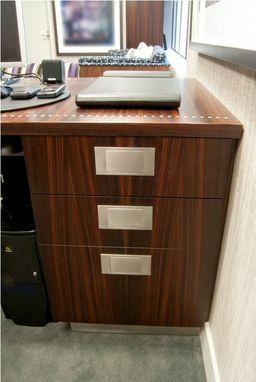 This desk measures 108" x 35" x 30" high, with a bank of 3 locking drawers at one end. The top is cantilevered off the wall, and supported at the opposite end by a cylinder base. The top has a radiating sunburst pattern to the veneer, and is inlaid with over 250 pieces of mother-of-pearl. 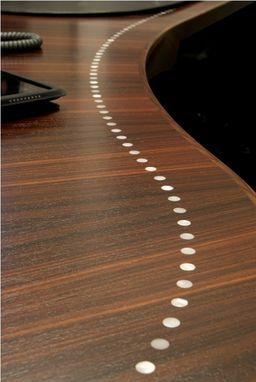 Wires are concealed in a hidden channel on the underside of the top, which can be accessed through a pair of inlaid grommets. 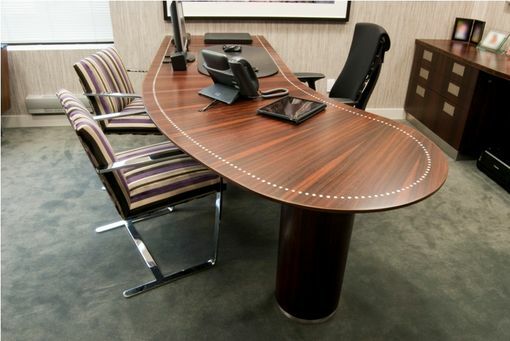 The story behind the creation of this desk is explained in great detail in a series of blog posts.